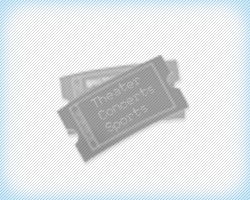 Theatre has always been popular as an entertainment form as well as a performing art. In modern day theater has become an inevitable part of our lives, and it has its fans of all ages, races and tastes. Plays today have a very diverse range of topics and themes, from tragedy to comedy, romance to warfare and from mystery to history, all areas of life are catered. Similarly every age group is also put as a separate customer body and just as there are passionate and frivolous plays for the youth, there are also fairytale and lighthearted plays for children. Children Family Theatre tickets are available particularly for such plays. In the United States, Children's Theatre has a prestigious history since the early 1900s. It started off as a popular branch of regular theatre. In other nations as well, like China and Russia, children's theatre has always had its due respect as a necessary part in entertainment world. It was officially known as TYA in these countries, that is Theatre for Young Audiences. In the beginning only the most popular and expert actors were used to perform for children, primarily to ensure that children are not being exposed to the wrong kind of entertainment. Another major factor was the fact that children are very open and candid with their response for any particular performance; hence it was all the more important to provide them with extraordinary yet exceptional performances. The most important influences on the earliest Children's theatre can be credited to Winifred Ward and Charlotte Chorpenning. Ward is credited with being the founder of Creative Drama. She also co-founded Children's Theatre of Evanston in 1925, as well as the first national child drama organization in 1944. That organization is still operational and is known as American Alliance for Theater and Education (AATE). Charlotte Chorpenning has also contributed tremendously to the Children's theatre. Starting at the age of sixty as the artistic director for the Goodman Theatre, Charlotte wrote plays for children for the next 21 years. During this time, she wrote enough plays to singlehandedly double the record of plays already written for children. Adaptations of well known fairytales were Charlotte's way to attract children, as they respond more to the known titles and stories. Today, however, the trend has been shifted to more originality in work, even for children. The idea as to why there is a category Children Family Theatre tickets rather than only for children is because of the fact that children's plays also include plays for toddlers and kids. The attendance requires parents to be there which makes it a family affair. Moreover, the plays today also hold a lot of interest for grownups, hence it can indeed be a family treat even if they watch a children's play. An all time favorite play for kids and adults alike is The Lion King. It is the heartfelt story of a young cub Simba, growing up in the African pride land and learning the lessons of life the hard way. The gorgeous musical along with exceptional theatrical props and puppetry, The Lion King is indeed a splendid treat. Another hot favorite of children these days is Wicked. An adaptation of Gregory Maguire's ‘The Wizard of Oz', this show is filled with mystery, thrills and surprises. Fascinated children and delighted grownups have helped Wicked a become a popular theatre show for quite a while now, and its still going strong. Billy Elliot is another famous musical with an inspirational storyline and motivational message. The idea projected by the play is that anything is possible if one follows his heart. The beauty and distinguishing part of the play is that the role of the protagonist Elliot is performed by three very talented actors simultaneously. Although the story is designed for kids, there are a lot of things loved by adults as well. Children Family Theatre is an excellent opportunity for kids learn and adults to rediscover their childhood.